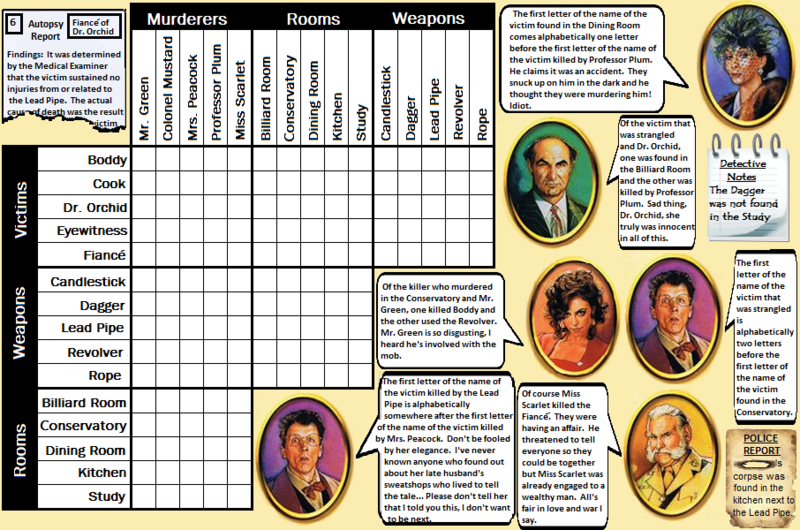 Use logic to match each Clue murderer to their victim, their murder weapon, and the room where they committed the act. If you believe two items match, click the box where they intersect. Very important note: Grid logic puzzles are easier to solve through elimination, so I strongly recommend using the decoy marker to eliminate wrong answers (the duck that appears after the quiz starts). Dr. Orchid replaced the Clue suspect, Mrs. White, in 2016.